Sergei Antonov is moving on to Yale! 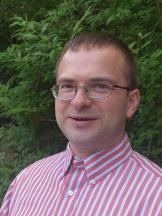 We are delighted to announce that our own Prof. Sergei Antonov has accepted a tenure-track position at Yale University. Congratulations!